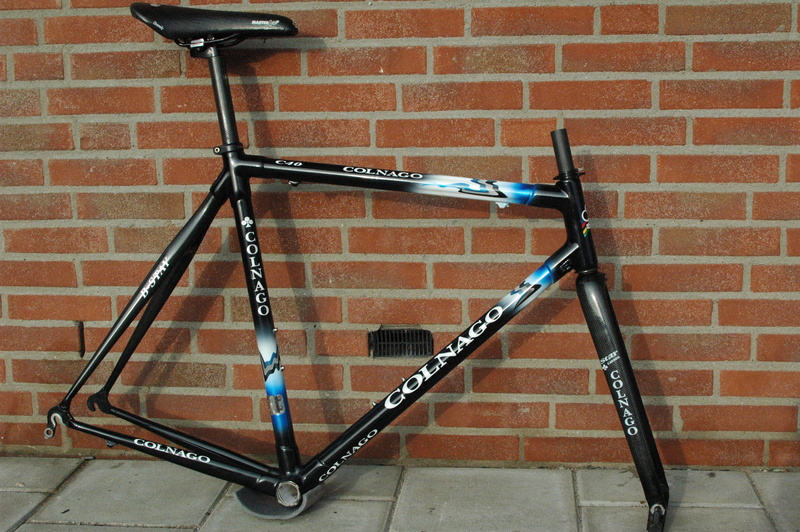 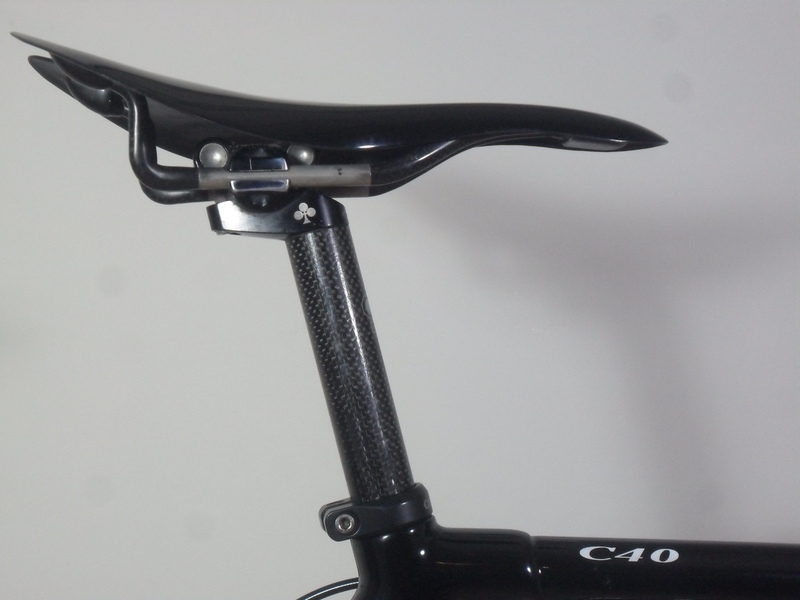 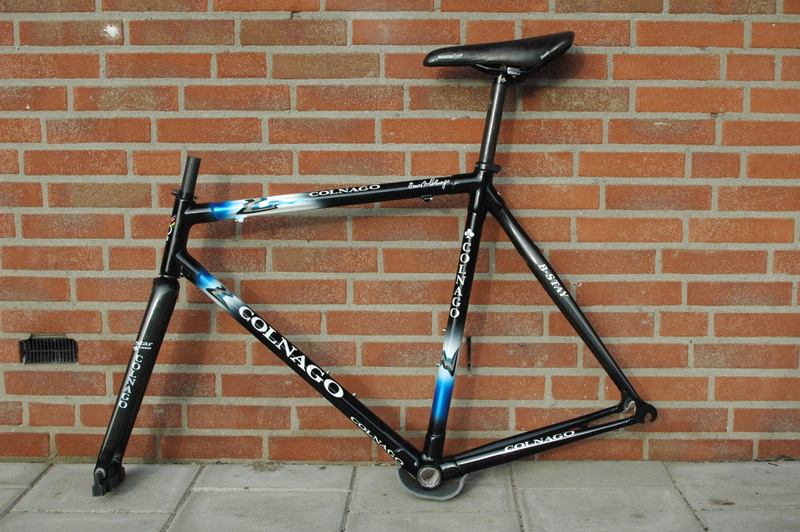 Here’s a nice example of Colnago C40,a mark two model with the Colnago ‘Star’ carbon forks. 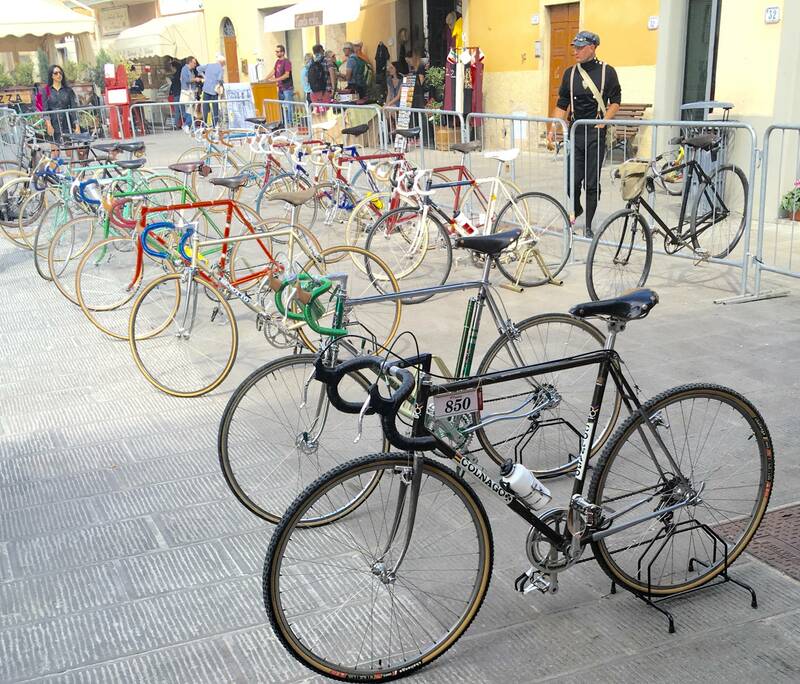 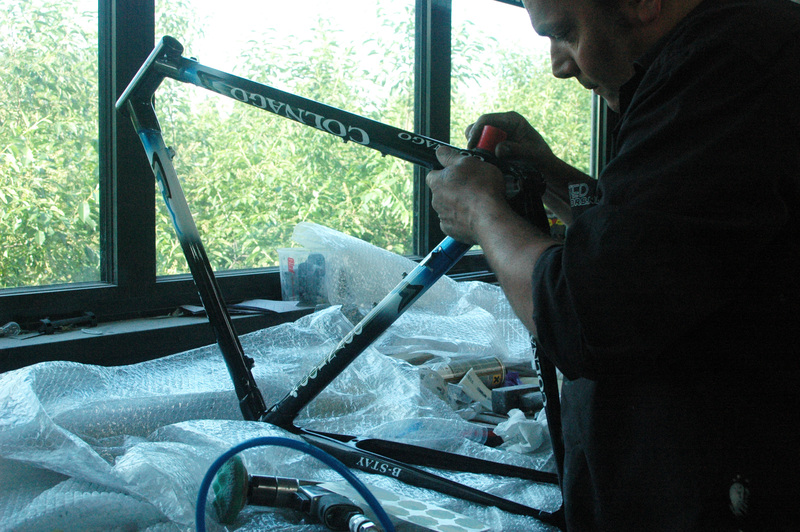 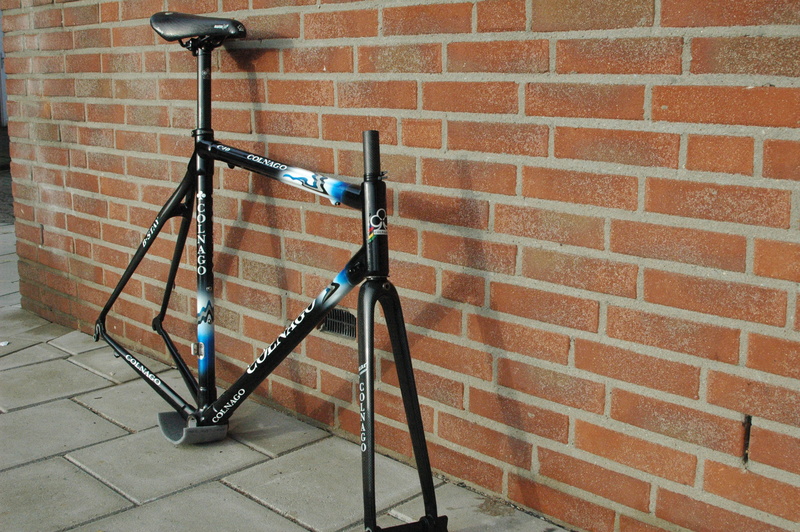 The frame has a black finish, and the front forks and seat stays are naked carbon weave. 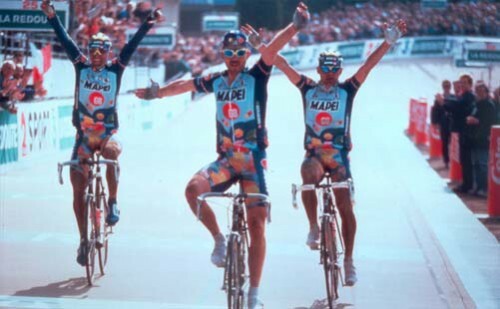 Nice ride, the Mapei team had a succession of wins on the c40.